Nike present a lifestyle version of the Lebron 12. 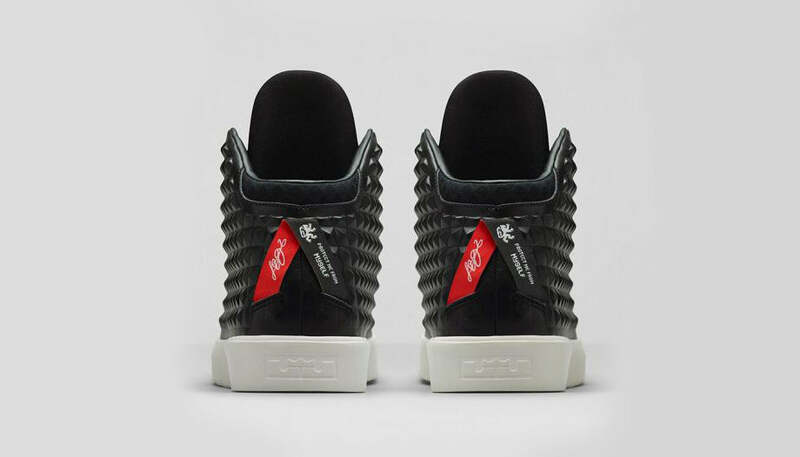 Comprising of a moulded pyramid pattern print on the upper and black patent leather on the toe box. Gold aglets mirror the pyramid pattern and the heel pulls feature the text ‘Protect me from Myself’. 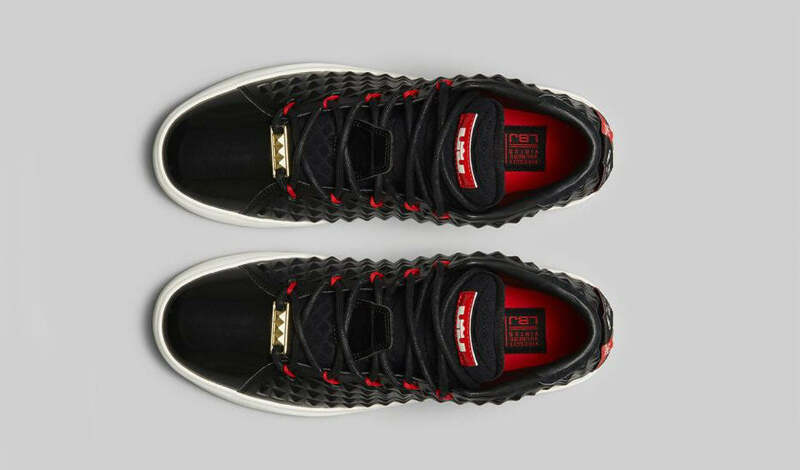 Flywire detailing appears on the lace, providing pops of red that break up the shoes stealthy appearance.